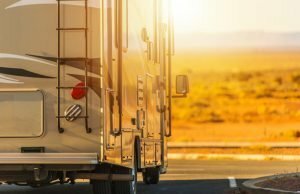 How do RV Rental Prices Compare to a Standard Holiday? There is no one definitive answer that would apply to all circumstances but providing you plan ahead and think economically it is likely that RV rental prices will come in at less than a standard package holiday – and even below that of a cheap tailor-made trip. Of course, if you choose the busiest season and the biggest camper van, hire all of your kitchen equipment and linen and spend a week with your foot to the metal while staying at the most luxurious RV parks then your overall holiday costs will be high. However, RV rental prices themselves can be extremely affordable, giving you more spare cash to invest on other aspects of your trip (or to stash away in your wallet for a future holiday). At this point you may be thinking: a campervan holiday seems so convenient and affordable I should buy one instead. Be warned; although RV ownership does have its benefits, it is a big commitment suitable only for die-hard campers. 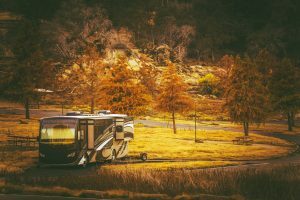 Good RVs are very expensive to buy and unlike a house purchase, where you end up with an asset, the forces of depreciation will erode the value of your RV very quickly. Buying an RV does make it available all year round but that also means maintaining it all year round too which can be a real headache, particularly in the winter months when you’ll be facing an ongoing battle against the elements. RV ownership also takes away the element of flexibility when it comes to size. 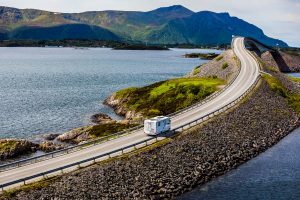 If you own a 7-berth RV but have the opportunity for a quick, romantic getaway or a weekend fishing trip you can’t downsize and save yourself fuel and those other costs that increase with vehicle size. RV rental prices obviously vary depending on the RV rental firm you use. However, campervanhire.com have taken that variability out of the equation with our price match guarantee. In addition, we don’t bump up our profits with hidden booking fees and even amendments are usually free of charge. Throughout the year we also offer special deals and promotions, including free months rental. To keep up to date on these, please visit either our home page or contact page and fill out the simple subscription form. No more waiting in airport queues. No last minute cancellations or delays. Safety and security (providing you choose a reputable RV rental company who provide proof of servicing). No wasted time in check-ins or check-outs. Squeezing the maximum activity out of limited time off. A guaranteed bed every night. The relief of handing back the keys afterwards! If you are interested in giving RV Motorhomes or camper van hire a go, please click here to search.